Day 28 of my 30 Days of Ag “All Things Minnesota Agriculture” is South 89 Seeds and Service owned by Tony and Amy Brateng from Roseau, MN. She was originally from Monticello, MN where she grew up on a corn and soybean farm with two younger brothers, who are now farming with her dad. Her mom works fulltime at the Xcel Energy Nuclear plant in Monticello. They also had a small cow-calf herd of black angus while growing up. Presently, they grown soybeans, wheat and grass seed. She visited UMC (University of Minnesota Crookston) in the fall of my senior year and fell in love with the Red River Valley and all the agriculture and combines harvesting wheat that surrounded the long 4 hour car drive to Crookston from Monticello. She also was excited about being able to play collegiate golf at UMC. 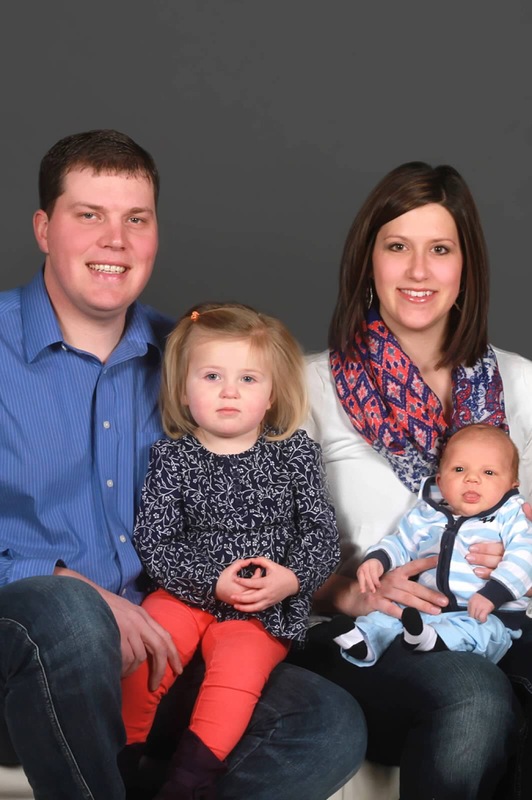 She attended UMC in the fall of 2004 for a degree in Agronomy and met Tony in the fall of her freshman year at UMC in Crop and Weed ID class and through the golf team. Her husband, Tony, grew up in Roseau, MN and graduated from Roseau High School. His dad is a agronomy manager at the local cooperative and his mom has worked various jobs in town and is now a full time para professional at the Roseau Elementary School. He has one younger sister who is interning at the Hospital in Town. Tony worked on Steve Dahl’s farm for a few summers prior to graduating high school. Tony began attending UMC in the fall of 2002 for Animal Science. He did some grass cleaning work at a local grass seed cleaning plant and soon became interested in majoring in Agronomy. In 2012 they welcomed their first child, Lauren who will be 3 in January and last year, the day after Christmas, they had their second child, Evan who will be 1 on the 26th of December. 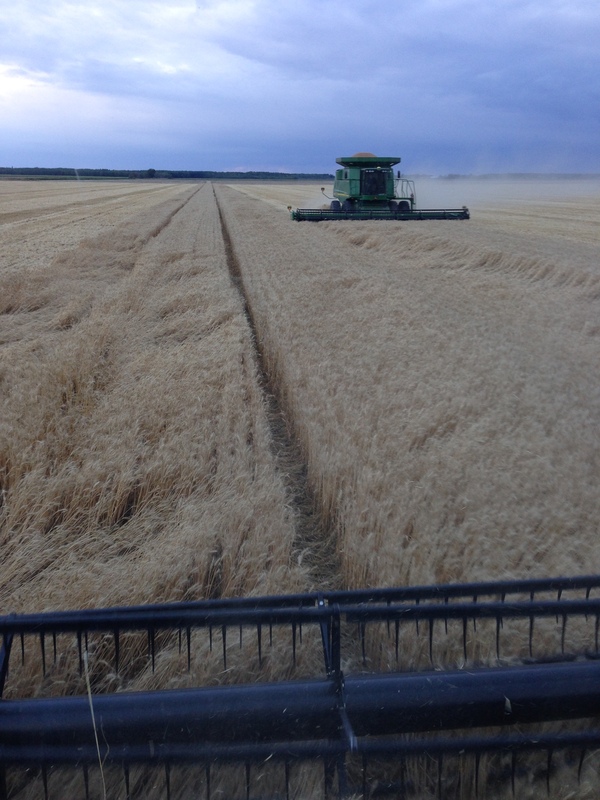 “My husband and I farm wheat, soybeans and grass seed just a couple miles South of Roseau, MN in Roseau County. Roseau is located 10 miles South of the Canadian border, home of Polaris Industries and is well know for hockey and fishing tourism at Lake of Woods (located on the eastern side of the county). How did you start your farming business? “We have a 3 year rotation of the following crops: Soybeans, Wheat, Perennial Ryegrass (Seed Production). 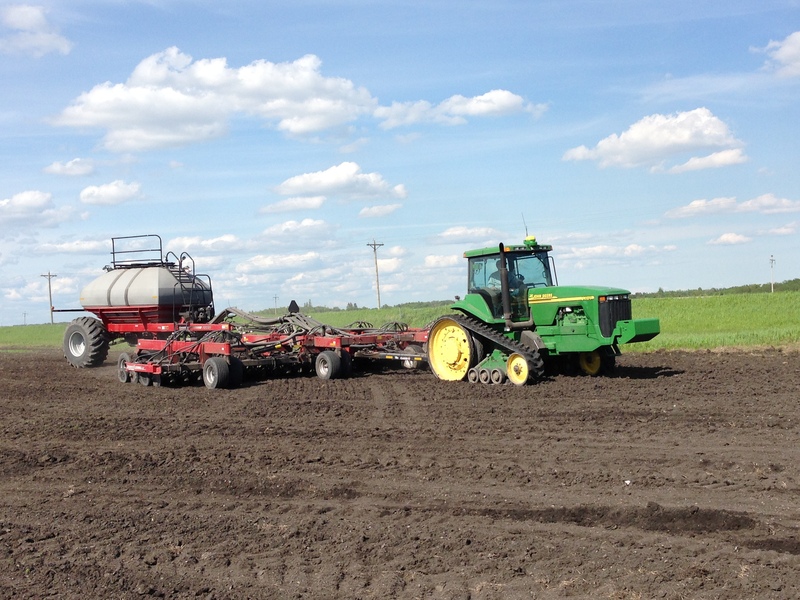 “The majority of our soybeans are raised for seed production for Pioneer. The seed produced on our farm is hauled to a conditioning plant and packaged to be sold for the following year. Our wheat is most typically sold at one of few elevators (1 elevator in town, next one is 75 miles to the next nearest and so on…) in our marketing area. Most spring wheat is exported. The Perennial Ryegrass we raise is also for seed production. Perennial ryegrass is primarily used for various blends of grass seed throughout the United States and Europe. 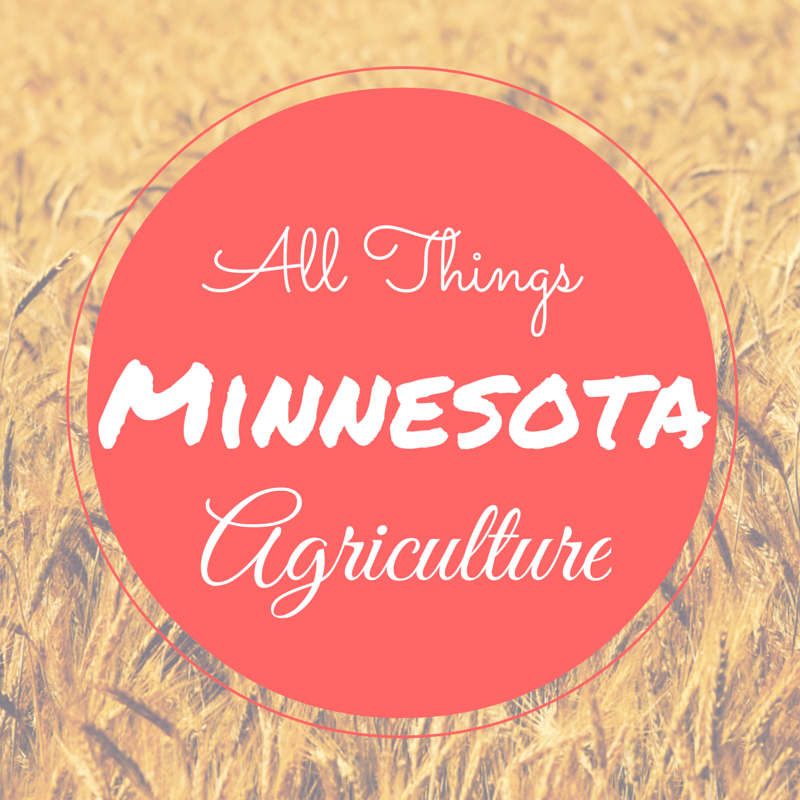 Our fields are inspected by Minnesota Crop Improvement Association and either sold under a quality assured program or as certified seed. 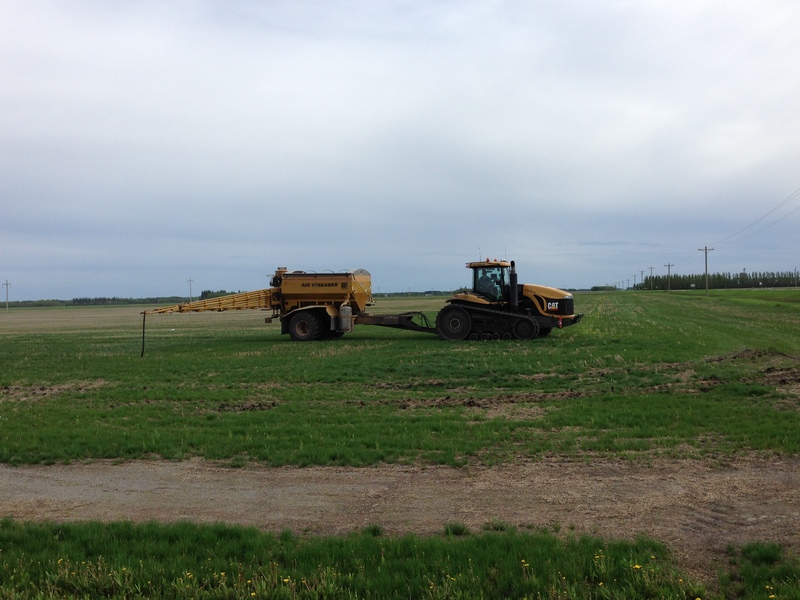 Our seed is sold to Brett-Young, Columbia, Lebanon, DLF and Pennington and other major grass seed companies in North America. These companies then blend our seed with other grass seeds such as Kentucky Bluegrass and Fescue and market to retailers such as Menards and other home improvement retail outlets. The blends are also sold to nurseries and lawn care service businesses. On its own, it can be used for over-seeding golf courses in the Southern United States during the winter months. I love the unknown. I love that we both have a general goal for each day, but sometimes how you get there is different than you may have thought/planned in the morning. I love anticipation of tomorrow during the growing season or now since its winter, next year’s growing season. Most of all, I love that not many days are the same. Each day presents its own agenda, challenges and rewards.